Since 1983 Chemclad has provided Quick-Turn Quality. As a manufacturer of decorative laminated panels and components, OEM Woodshops around the country count on us for this ability. We often ask our customers what they value most from a manufacturer, and their answers are consistent: a top-quality product, when and where needed, at a competitive market price. Our customer’s requirements provide direction, and enable us to meet or exceed those expectations. Chemclad’s objective is to be an off site “here-when-you-need-us” member of your team. Reliable relationships are time-tested. History will show a business relationship with Chemclad is more than reliable. Quick-Turn is “QUICK”. In-stock materials, flexible in-house production scheduling, direct-to-user delivery and an advantageous logistics grid enable Chemclad to provide up to a 2-day turn around as needed. This enables a reduction of your inventory level, increasing your cash flow. Quality hinges on the control of critical processes, knowledge of the raw materials required, understanding customer requirements and the experience provided by the longevity of our employees. 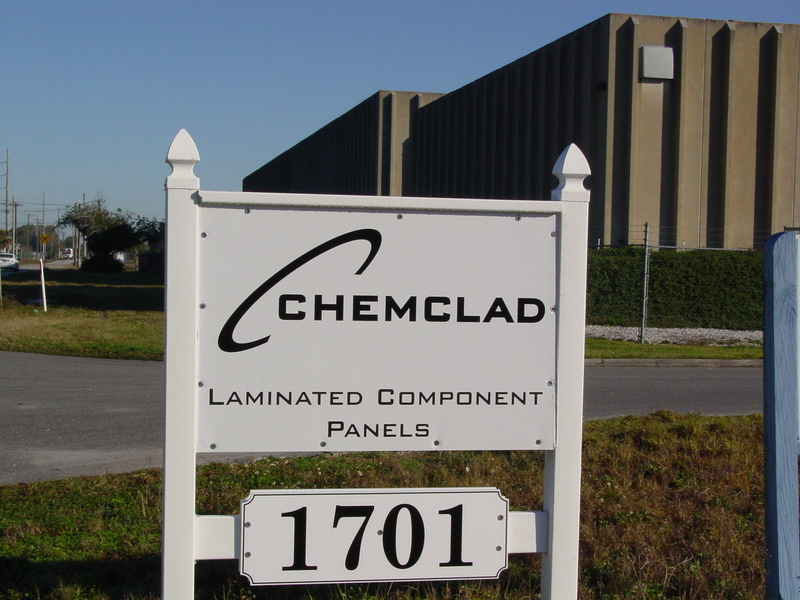 Chemclad was instrumental in developing the proprietary adhesive used in our Decorative Laminated Panels. Our adhesive was developed for use in the demanding marine industry and passes a random triple-boil cycle test proving it is one of the most durable and dependable adhesives available in the industry. Quality continues with Chemclad’s custom cut to size capabilities. Laminated panels with decorative faces such as high pressure Laminate, Metal, or Wood Veneer can be cut to the customers required dimensions providing a durable product in configurations needed for any application. 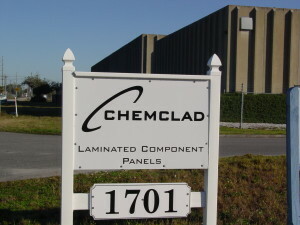 Chemclad Services: Chemclad’s service encompasses abilities as a quick-turn quality source for Decorative Laminated Panels and fabricated components.